Has this ever happened to you? I don't know why I did it, I wasn't myself, I normally would never do that. Maybe you were right. I am a big believer in self accountability and not making excuses, but is it possible that much of what goes on down here is influenced by energies, or formless beings. Even a cold? I had a cold for 30 days, I never have a cold for 30 days. I wasn't myself. Then I remembered what my buddy Big Dan said, "Even colds or flus are an energy gripping onto you." Makes some sense, because doesn't everything that exists in the universe have to have some kind of energy for it to exist, even a cold. What is that holds all of this together? It seems like it's our collective thoughts, or God's thoughts. What is it that gives meaning to anything? Our collective thoughts that we believe it to be real. Is this all an illusion? Well, I can take away that science shows we are energy in our purist form, and after we die, our energy leaves. Where does it go? A lot to think about. What I did find out is that my cold totally disappeared the very next day after trying something. How could that be, it lasted for 30 days? Perhaps even a cold is a form of energy that globs onto us as my friend Dan would say. Dan will also go on to say things like "That person is controlled by the spirit of arrogance, or the spirit of greed, etc." He was taught by his native understanding that there is a spirit, or energy, for anything that alters us from being unconditional loving beings. I can see that making a bit of sense now. Are we helpless from these energies? No, far from that. Do you ever say bless you? Did you know that was originally said to try to protect people after they sneezed because others feared there was a spirit, or energy, trying to attack or drain someone's body? If you go back and listen to an interview I did with Debbie Tibbles, she felt there was a really dark energy that took over her sons body when he was dying from cancer. Is that possible? I could definitely see that happening, at least some of the time. Whether it is true or not, I believe it is all part of this process we go through down here and it is not to be feared. Perhaps it is to be conquered? This week I was going to talk to Mark Rainer through Skype but the recording didn't take very well, the audio was fuzzy. Mark is from northern England and has a few interesting stories to tell. Perhaps next week I will figure out how to get the Skype recorder working so we can have a clean interview. 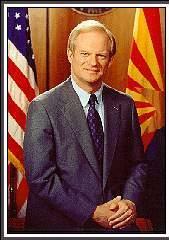 Fife Symington was governor of Arizona during the Phoenix Lights incident in 1997. At the time the networks claimed it was flares or some other unbelievable excuse. At the time Governor Symington made a joke and had one of his staff members dress up as an alien. 10 years later the former governor was singing a different tune, have you heard part of that interview? Symington is probably one of the highest ranking U.S. political figures to come forward and claim he saw a ufo. Canada's former Minister Of Defence, Paul Hellyer, was speaking at the 2005 exopolitics event and made quite a few shocking allegations regarding aliens, government knowledge of aliens, and hidden agendas. I don't know where he gets his information from, or how he knows what he claims to know but one would think that the former Minister Of Defence would not make false acusatory statements. Have you heard the audio, it is an eye opener? 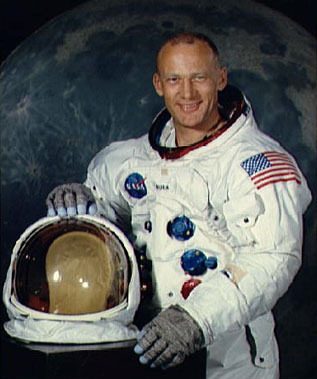 I'm sure I heard this before from Buzz Aldrin but it's good to hear this again, Mr. Aldrin claims in some interview that there was a craft that was following Apollo 11. In this brief interview you will hear the astronaut speculate and what the crew decided to do. I think more and more is coming out about ufos and Ialso think we should not believe everything we hear. My experience in media has taught me that the truth is often manipulated for one reason or another. So this week I thought it would be fun to present some audio from what I would consider 3 very reliable sources. Plus I retell my own close encounter. 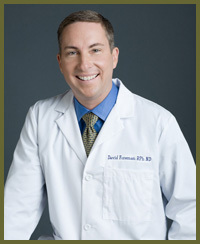 David Foreman used to be a pharmacist roughly 17 years ago, then he had a change of heart and careers. He now calls himself an herbal pharmacist. David has become one of a growing number that are beginning to realize that there are many natural products that can aid us greatly in healing and staying healthy. Also, I think many are seeing the dangers of potential side effects caused by certain drugs when many herbs or supplements can offer a healthy alternative without side effects. What I did like about David's website www.herbalpharmacist.com is that David offers a lot of alternative answers to many diseases. It has been my experience that when someone chooses to go against the mainstreem way of thinking they have to be very carefull as to how they word things. Why? I think they know that there are those who see alternative health as competition and will do everything to shut them up. "They" have a lot of money and power, "they", in my opinion, have the medical profession in their back pocket. Sound cynical? Perhaps. I guess I've formed this opinion from my own and others experiences. Now, I don't believe all modern medicine is horrible, and there are great achievements in medicine. But there seems to be an underlying manipulation from certain drug companies to doctors and the American public. With that said it surprised me that David spoke so candidly and told me that there are many who may not like him since he switched sides. You have to ask, why would someone give up a lucrative carreer to be a pharmacist and go in the natural health field where there isn't anywhere close to the money? Furthermore, why does the medical community continue to ignore an alternative approach especially when others are getting well? This is surely not always the case, as years ago I spoke to a woman in Vancouver who said the hospital where she was working was combining natural and modern medicine. Maybe that will be the case one day, I hope. Are Antibiotics losing their potency? Are we overabusing them? Is the flu vaccine a big scare? Aren't there many many strains that come out each year and this will only protect us from one virus? Can you get sick from the flu shot? Would my guest get a flu shot? Are we being manipulated through fear? Can we regain our power by improving our own immune system? How do we go about doing that? This week an interesting chat with an entertaining David Foreman out of Tampa Florida.